1. 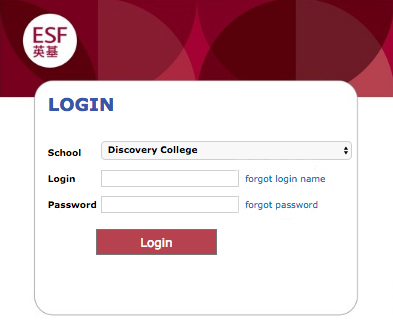 Log in to the Gateway at https://dc.tg.esf.edu.hk using your Gateway Parent username and password. 2. Type in the password you set for your Gateway Account. If you have forgotten your password click the forgot password link and wait for 30 minutes( Max ) for an email. Do not attempt to repeatedly login with the wrong password as this will lock the account. If you do not receive an email after 30 minute please contact ben.wu@dc.edu.hk/george.tibbetts@dc.edu.hk to have your password reset manually. We will process your request in office hours (8am-5pm Monday to Friday). If you have more than one child, you will have to make separate bookings for each child. 4. Choose the date you want to make your appointment on. 5. 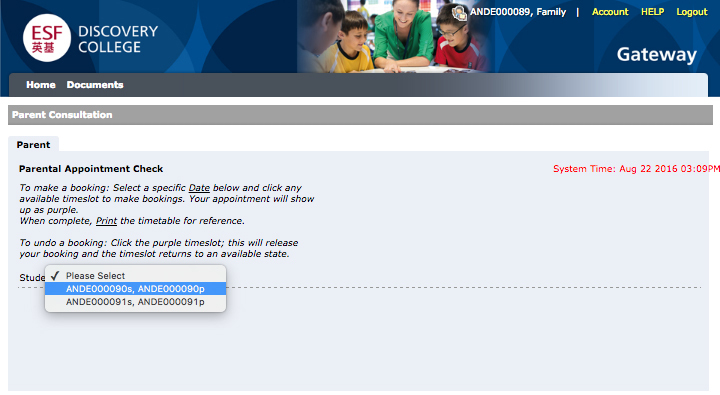 The page will load an appointments grid for selected Student and Date/Conference. Your child’s subject teachers and other teachers assigned to selected conference are listed on the left. Booking slots are displayed in the main booking grid area with appointment times at the top. Use the scroll bars on left and right of main area to scroll through available times. 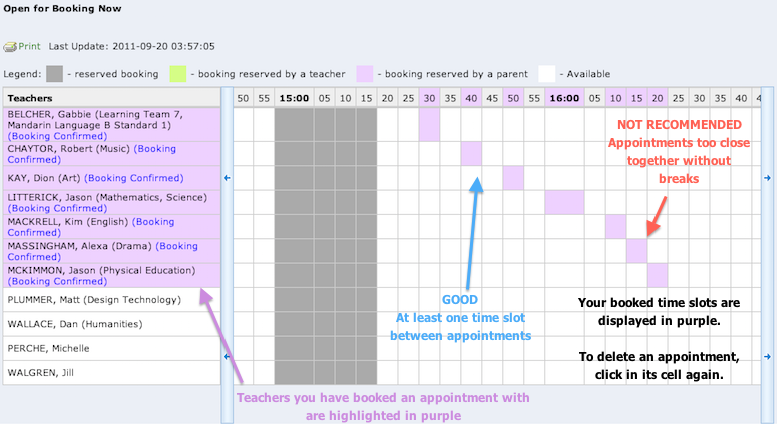 Dark-grey cells are not bookable – they are either teacher break times or other students’ appointments. 6. To make a booking with a teacher click in an empty cell in corresponding row in the column of your preferred time. The cell will turn purple indicating that you have made booking with. Leave at least one time slot between appointments – you will not be able to make it from one appointment to the next one in time if your appointments are in consecutive time slots. Only one appointment per teacher per student. Only one appointment per time slot per student. 8. 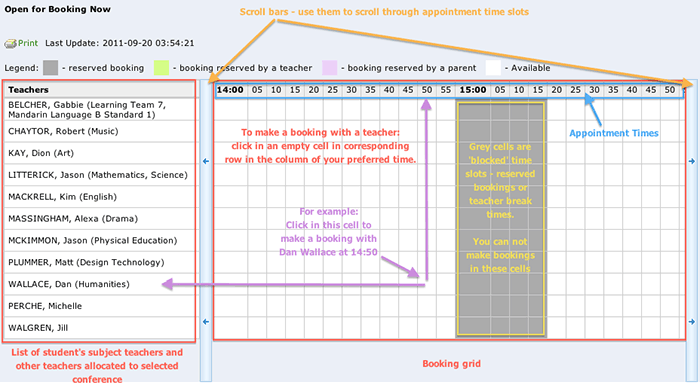 To delete a booking or change its time: click in the booking’s cell in the grid – this will release your booking and you will be able to make a new booking with selected teacher for a different time. 9. Details of your bookings will also appear in the ‘All confirmed bookings’ box above the booking grid. 10. When you have made all necessary bookings you can print your appointments list by clicking the ‘Print Bookings’ link in ‘All confirmed bookings’ box. This will open a printable view of your bookings. 11. 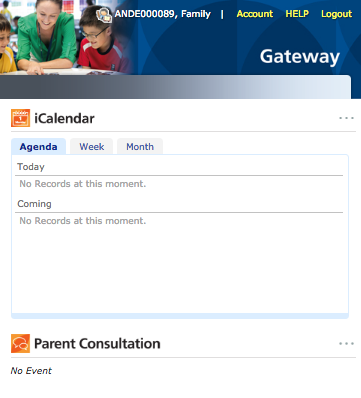 You can come back to the Parent Consultation page to view / edit / print your bookings at any time later before the conference start.